Naturally around Halloween there are films that are inflected with horror tropes and themes. And more often than not, there is a film that is tongue and cheek with it’s approach. And for me, the best ones are always the British ones. 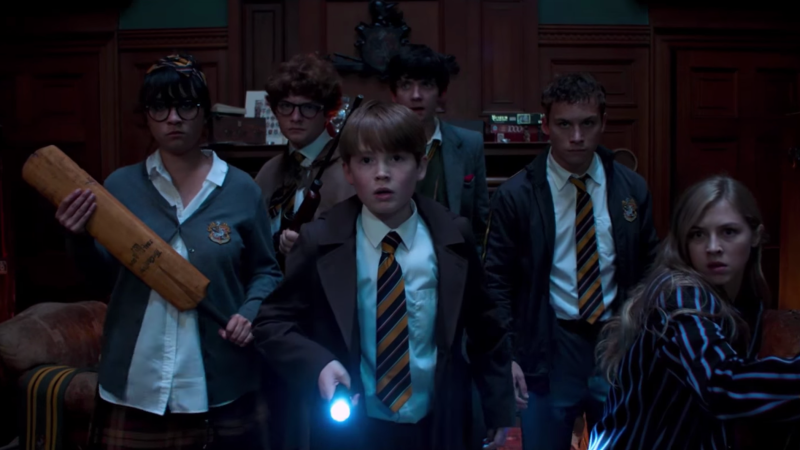 One such film doing the rounds this year is Slaughterhouse Rulez. I only really saw the teaser trailers for this, but it screamed everything that I enjoyed about it and seemed to be heavily influenced by the works of Edgar Wright and Joe Cornish, the men behind of the best British dark horror comedies in recent memory. And it all took centre stage at the grand Slaughterhouse school. And I must admit it was very picturesque. However, our central figure of Don Wallace (Finn Cole) does not feel welcome at Slaughterhouse and feels out of place, especially as it continually is spouted it’s the breeding ground for Britain’s next great elite. A class Don feels seemingly disparaged with. Now, this is where I got a sense of The Riot Club being layered into the film and the narrative, as the ‘Upper Six’ and the ‘Gods’ bestowed a sense of classism on the film, but it wasn’t lauded throughout the film, but still rang true, especially as they targeted Don a fair bit. Narratively, the film felt like a blood relative of Joe Cornish’s Attack the Block, in the sense that it was a bunch of unlikely teenagers against an unknown entity, which of course causes some laughter as they prove about as useful as you and I would in that situation. But also with the inflection of this mystery monster that no one knows anything about. And Don finds himself in the centre of this, now finding company in Willoughby (Asa Butterfield), his roommate and Clemsie, (Hermione Cornfield) the Upper Six he really fancies. On a weekend where everyone heads home, he finds himself in the middle of this attack on Slaughterhouse and is seemingly at his wits end. As I mentioned, it felt like a blood relative of Attack the Block but it’s also very reminiscent of early Edgar Wright films, with it’s shot choices throughout, the set-up of the narrative, and the comedic timings of the cast and set pieces really working throughout. Although majority of it was foreseeable and nothing ground breaking it worked and kept the film moving at a relatively good pace. Casting wise, the film had some chops, considering that Michael Sheen, Pegg and Frost were all featured, but the central character played by Finn Cole was brilliant. However, my favourite character had to be Clegg. He reminded me of a brownnose teachers pet, taking his prefect role far too seriously. Played brilliantly by Tom Rhys-Harries, he really carried his elitism like a badge and was incredibly sinister in this role, which really help sell the antagonistic vibe of his character. It did have some political overtones in the film, as The Bat announces the woods are off limit, due to a fracking site that has been set up to mine the gas that sets underneath the school. And of course, although it serves the purposes of bringing the monsters from ‘hell’ into it, it does have that slight statement about fracking and the carelessness from Terrafrack. This mixed into the classism that is rife throughout the film, it does become an interesting narrative structure that effectively serves it’s purpose. This is also layered into the film with the legends of Slaughterhouse and those alluring parties that are mentioned, that also features in quite a strange scene, almost out of a Eyes Wide Shut deleted scene. But what turned out to be really enjoyable, was the fact that the film had points that didn’t need explaining and left some questions unanswered to leave it open for interpretation, which really worked. It mostly centred around, The Bat, his dog Mr. Chips and of course the monsters that seemingly lurked below Slaughthouse. I enjoyed was Crispian Mills did with the monsters as well, leaving them to the opportune moment to reveal, and didn’t focus too much on them, but rather the group that are evading them. In truth, it was just a good way to spend an hour and forty minutes. It didn’t feel too long, as it was just hovering around the perfect length for a film like this. Everything worked that needed to and slotted into place, but as I mentioned, it wasn’t ground breaking, but it didn’t need to be. I really enjoyed the antagonistic nature of Clegg, and the layered narrative throughout and it’s one worth seeking out if you enjoyed films I found it very reminiscent of. Although it’ll probably be a largely forgettable film in truth, I will find myself going back to, in a similar nature I always find myself craving a viewing of Attack the Block. 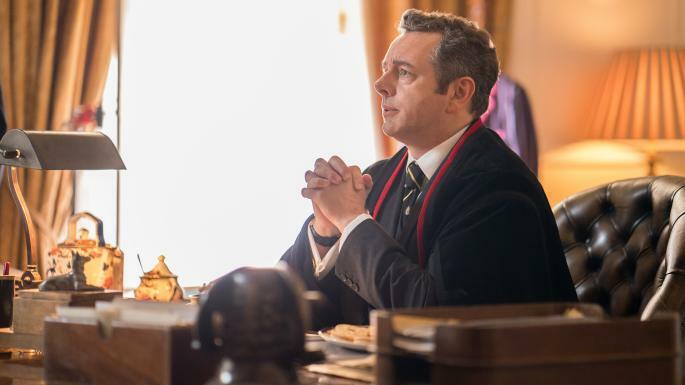 Each segment to the film, from the narrative to the grandiose set piece of Slaughterhouse all worked effectively, and tied Slaughterhouse Rulez to be an enjoyable film.